2. Why are house (pet) birds dying? The out gassing of heated cookware has been fatal to pet birds and (in humans) it creates flu-like symptoms of chills, headache, fever and nausea. In humans, the symptoms subside in a few days and chances are many people who have experienced sickness – attributed it to a short bout with a virus. However, in studies of heated non-stick pans on conventional stove tops – commissioned by the consumer watchdog organization Environmental Working Group (EWG) – it only took two to five minutes to reach temperatures that can release dangerous toxins. In April 2003, the Environmental Working Group filed a petition with the Environmental Protection Agency (EPA) to take action against Dupont for what was classified as an 18-year cover-up regarding the dangers of Teflon”s chemical – PFOA. In response to the EWG findings, DuPont was fined 16.5 million dollars for failing to report the dangers of this chemical. Studies showed that Dupont was polluting drinking water and presented a very real danger to pregnant women and the baby’s they were caring. Research at Johns Hopkins Hospital in Baltimore, Md. linked this chemical to low birth rates, while other studies found it caused unusual birth defects. A recent study has shown a link between thyroid disease, cancer and Teflon. The study was published in the journal Environmental, which is affiliated with the National Institutes of Health, and reported that people with high levels of PFOA, were more likely to develop thyroid problems, as well as various types of cancers. Dupont’s own scientists have said that the product will release fumes that can cause flu-like symptoms in cases of overheating at 662 degrees fahrenheit – a temperature that can easily be exceeded when a pan is either preheated on a burner, placed beneath a broiler or in a self-cleaning oven. The best way to protect you and your family is to use cookware made from: ceramic, stainless steel or glass. 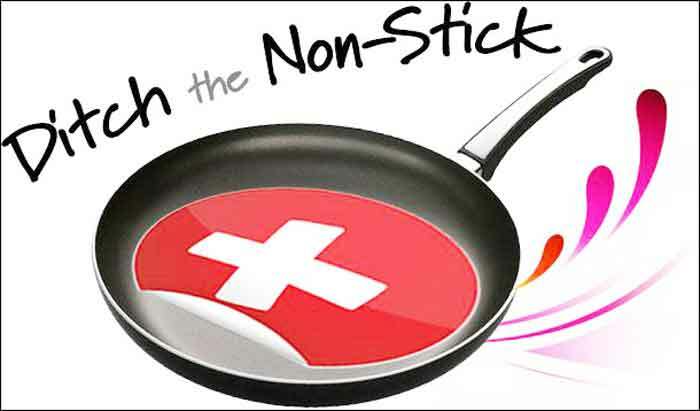 If you know anyone cooking with Teflon pots and pans – PLEASE share this article and help save a life.